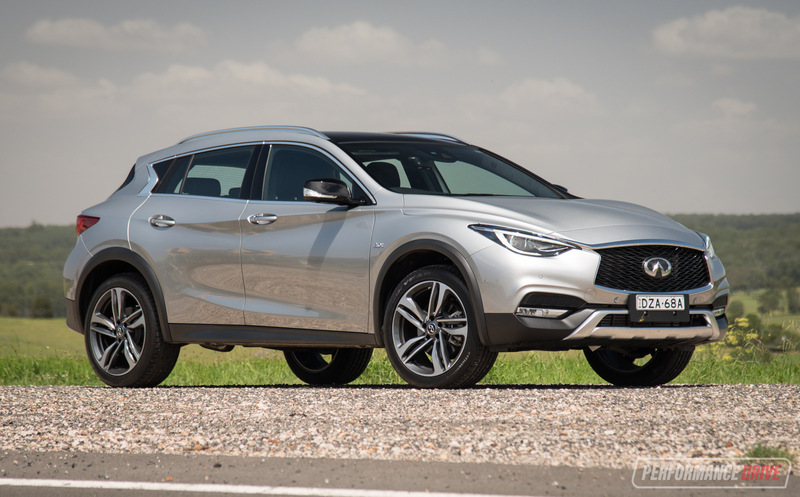 The number one selling car in the world has just been re-invented for the twelfth time. 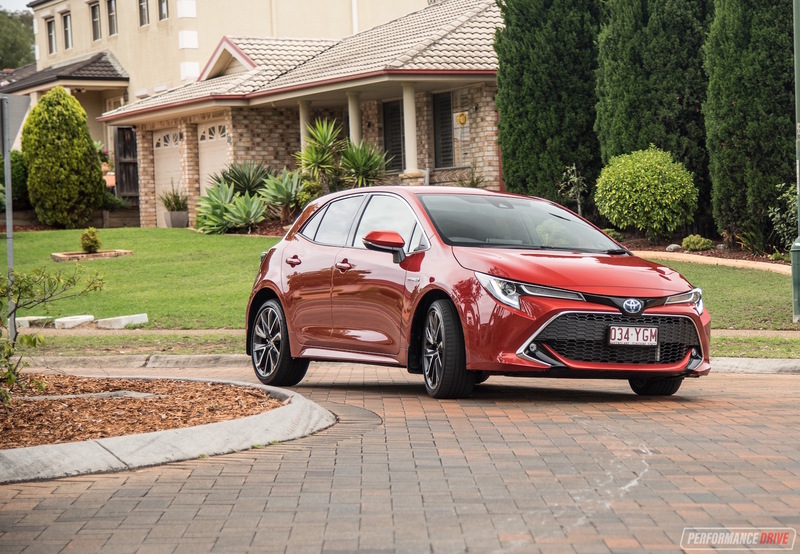 There is just no stopping the Toyota Corolla when it comes to sales, with nearly 45 million examples sold since its inauguration in 1966. Some say the Corolla is so popular because of its conservative and reliable standing. 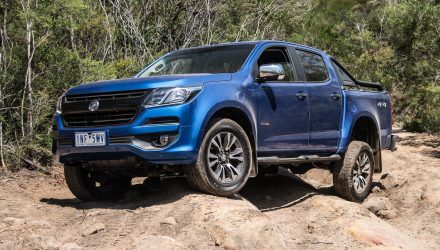 But this twelfth generation could shake off some of that boring repute by offering an unquestionably sporty exterior design, and one of the longest lists of standard safety tech in its class. As has been the way for a few generations, the hatch and sedan are on different lifecycles, and are built in different countries. 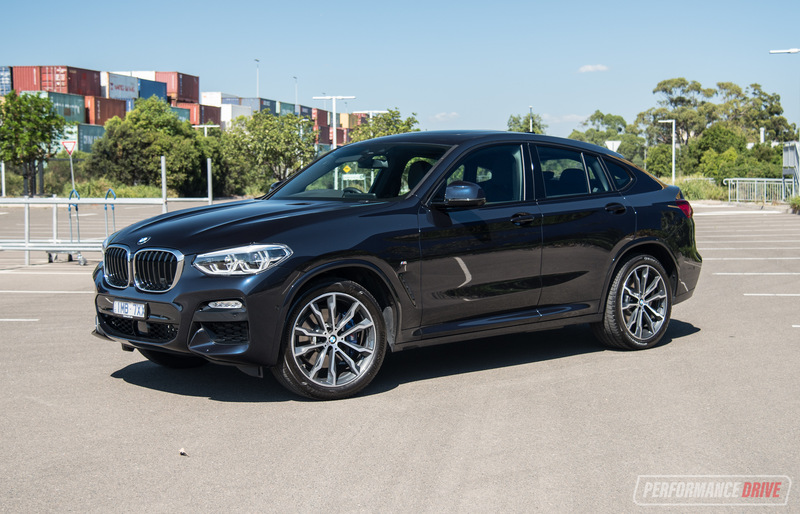 Hold out until next year if you’re interested in the new sedan. 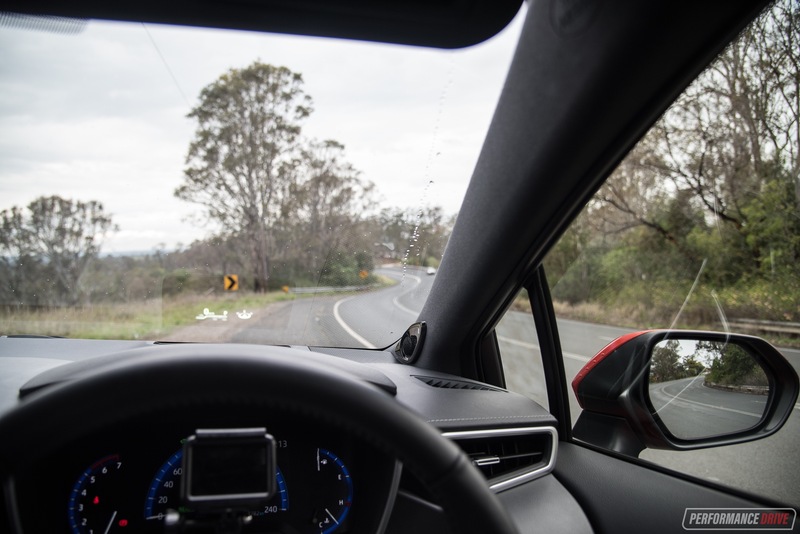 For the new hatch, Australians have just three variants to pick from; the Ascent Sport, the SX and the ZR. But now they are all available with a hybrid petrol/electric option. 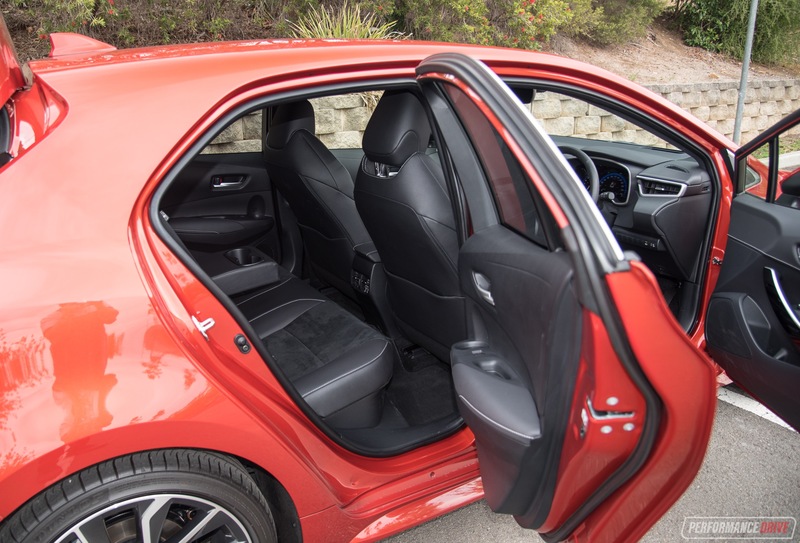 Because the base-model Ascent has been eliminated, the entry price has shot up $2680 to $22,870 (plus on-road costs). 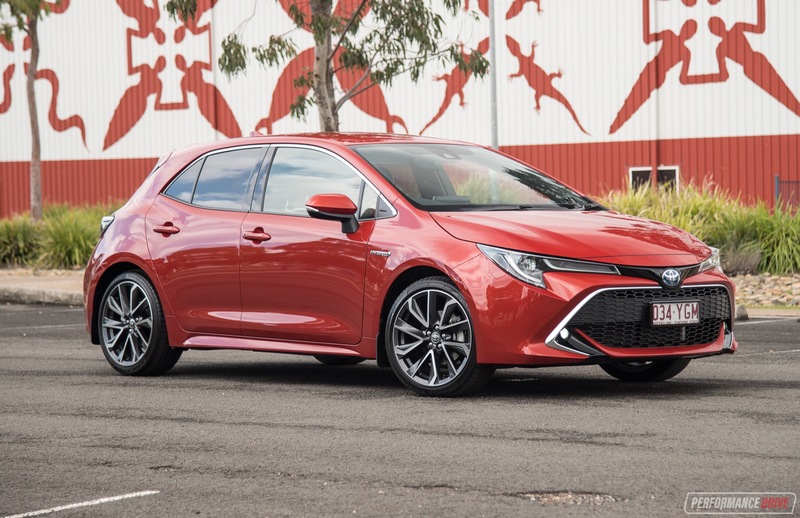 But to be fair, the new Corolla hatch is sportier, safer, more intelligent, and more powerful (if you opt for the petrol engine). All variants are also better equipped. 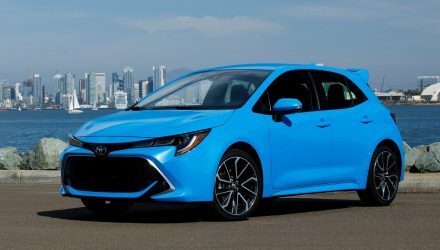 Toyota has really stepped up and taken a lead on the standard tech offering in the new Corolla – which is not at all like Toyota. Even the cheapest model is equipped with autonomous emergency braking, lane departure alert with steering assist, active cruise control in auto models, pre-collision pedestrian detection, speed-limit display, auto high beam, reversing camera, hill-start assist, seven airbags, LED taillights, electric park brake, 8.0-inch touch-screen with Bluetooth, heated exterior mirrors, and driver’s seat height adjustment. 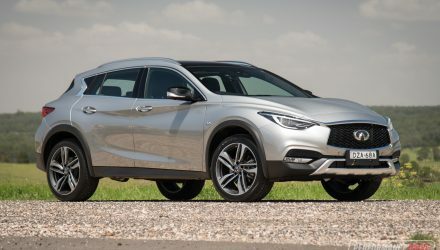 In addition to the above, the ZR hatch scores 18-inch alloys, heated sports front seats, bi-LED headlights, an eight-speaker JBL sound system, sat-nav, an additional 7.0-inch driver’s display, dual-zone climate control, keyless entry and start, a colour head-up display, wireless phone charging, digital radio, front fog lights, privacy glass, a USB port in the second row, an auto dimming rear-view mirror and ambient interior lighting. These equipment levels place it at the top of the class. 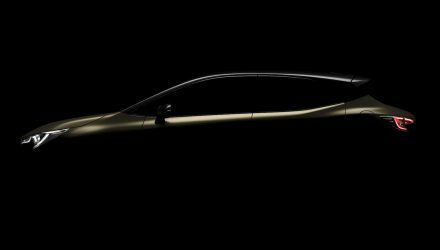 But it’s not only on equipment that the new Corolla will impress. When you first lay your eyes on it, you’d be forgiven for thinking it isn’t a Corolla. 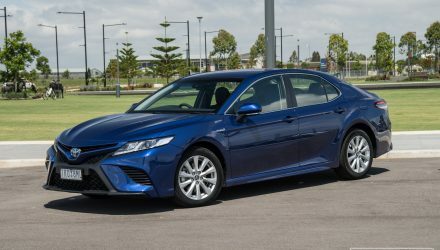 Very different from previous generations, with some design elements copied from the latest Camry. 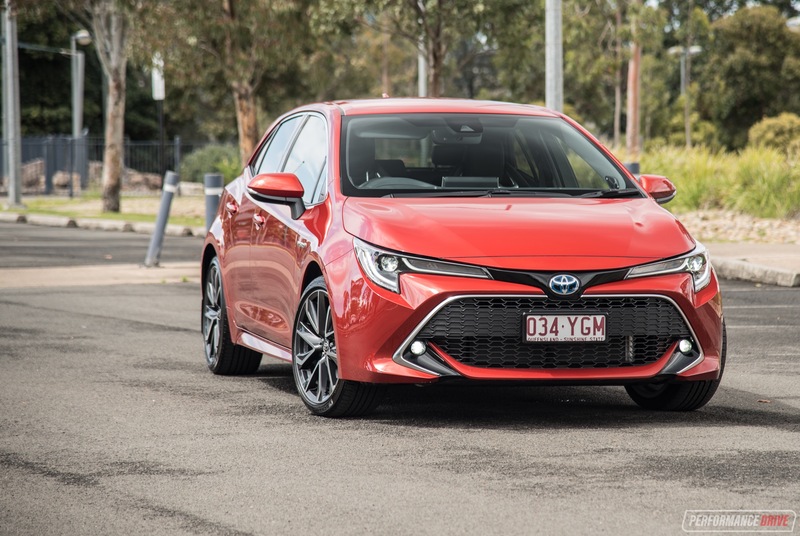 The front adopts a huge lower grill and wide headlights that nearly meet in the middle to portray a strong and angry road presence – very un-Corolla like. Sharp angles flow to the rear to reveal taillights of a similar aggressive stance to the front. 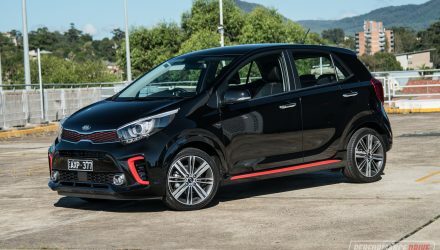 The boot countersinks into the cabin to provide a chunky and protruding bumper bar with a black-painted section that mirrors the front. We’re sure you’ll agree, we think it looks very appealing. 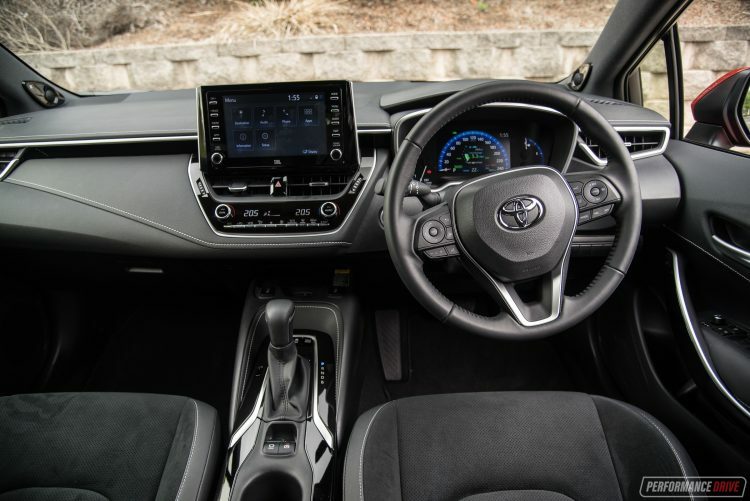 Toyota designers have replicated the athletic design for the interior. Sitting in the Corolla, you’ll notice the dash wraps around you and protrudes out towards you. It looks good, but it means your space is impeded on. 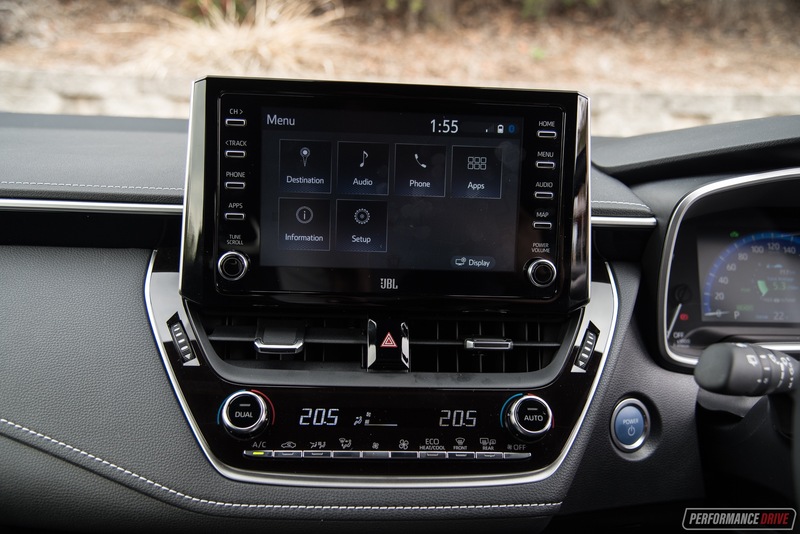 The instrument cluster and centre console are fantastic though, with clean and easy layouts to familiarise yourself with. Most materials feel high in quality, and the main touch-screen has been improved in finger responsiveness, and in menu design. 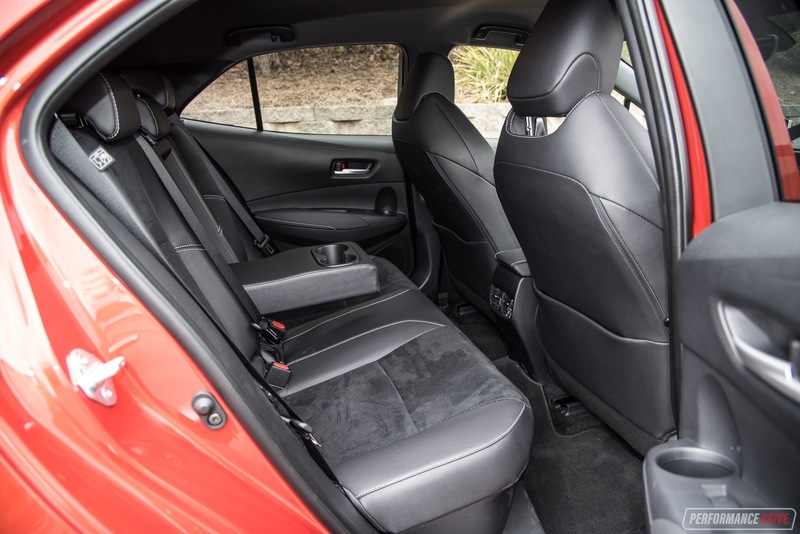 The ZR also scores some extra sporty, heavily-bolstered seats which glue you in place firmly and comfortably. In the rear, room is not class-leading, but there’s enough space for two adults to sit comfortably. We find the door opening to be a little tight for this class, which doesn’t really help. 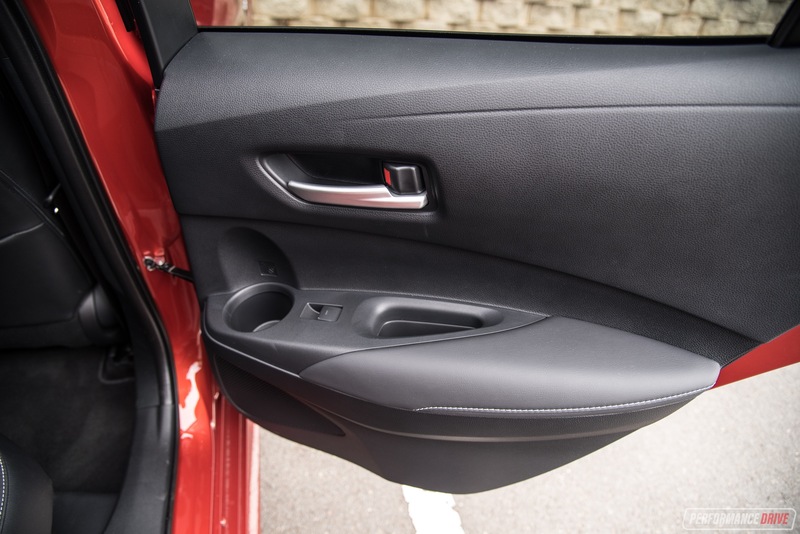 It won’t be an issue for most customers, but if it is important, the current sedan offers a huge amount of wriggle room in the back. 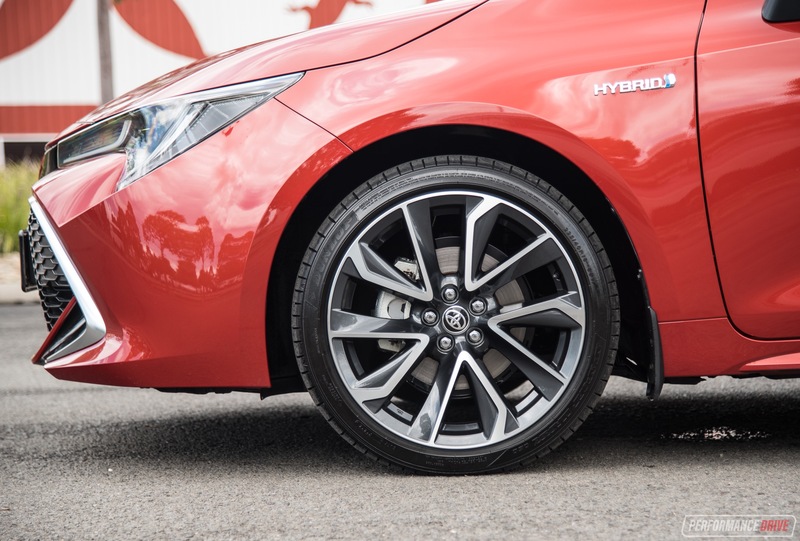 In the boot, the ZR hybrid is fitted with a tyre repair kit, which means it gets the biggest boot size in the range. It’s rated at 333 litres, while all other variants measure up at just 217 litres, which is quite disappointing. 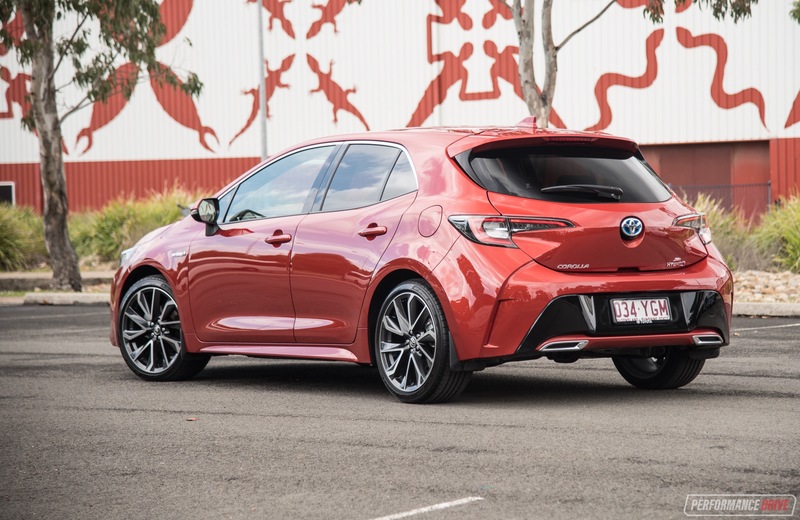 To compare, the Mazda3 hatch offers 308L, and the Hyundai i30 presents 395L – even the previous-gen Corolla hybrid hatch offered 360L. 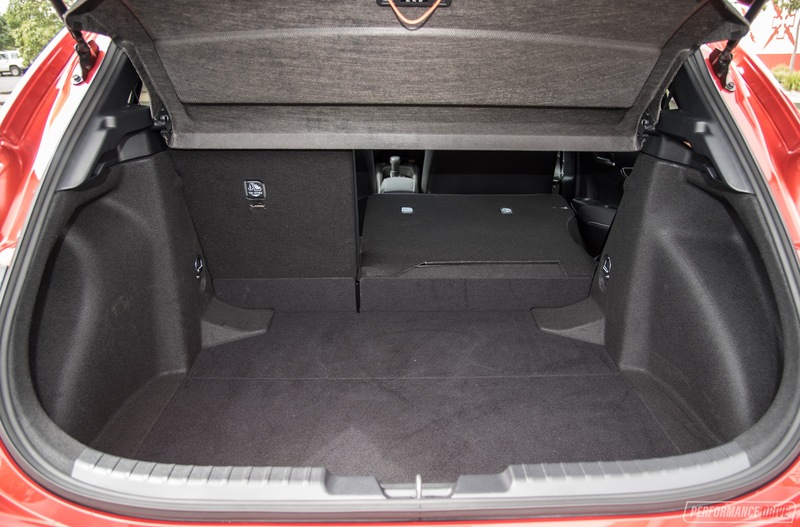 You can always increase the space to 659L if you lie the back seats down. We’ve said it before and we’ll say it again. 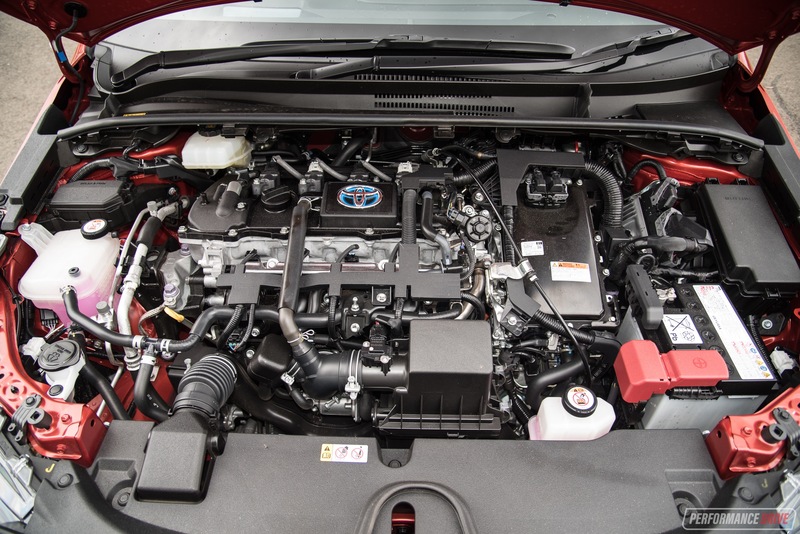 It’s a real shame that Toyota doesn’t offer a sportier engine for its so-called sporty variant – not even as an option. There is a market hole that Toyota neglects to care about. 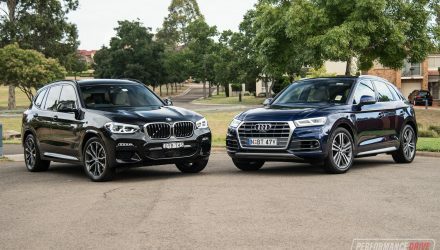 The only redemption here is that this latest gen comes with a higher performing standard petrol engine than the preceding gen.
For the hybrid option however, power is slightly reduced from 100kW to 90kW. But it can now run on 91 RON fuel instead of the previous 95 RON minimum. For everyday driving, the hybrid engine does the job satisfactorily. But when you need to accelerate quickly, or beat the traffic flow, it can seem a little breathless. 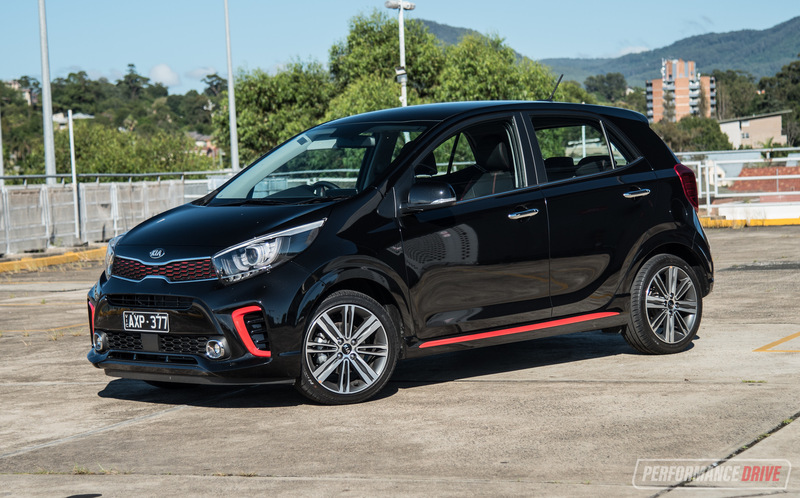 You might notice the petrol component needs high revs to get the job done, producing just 72kW on its own. But at least it’s a free revving and quiet unit, regularly hovering around 4000rpm to get up to speed. We timed the 0-100 sprint in a yawn-inducing 12.92 seconds. It’s far from hot hatch speed, but let’s not forget it’s a car that specialises in fuel conservation. 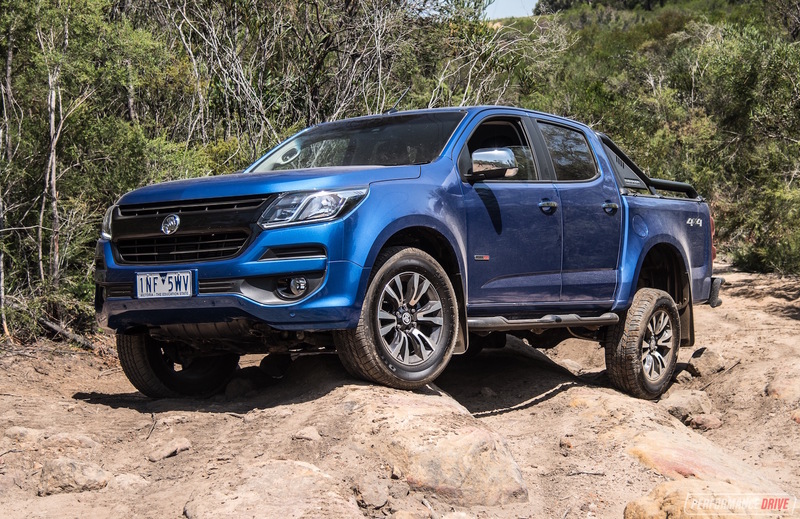 This acceleration figure means it’s also fractionally quicker than some of the modern dual-cab diesel utes that seem to be taking over the world at the moment. 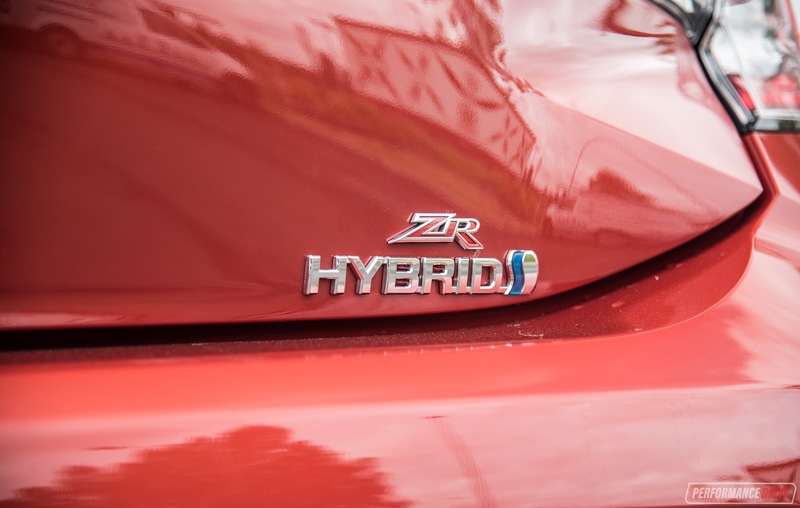 Official tests claim the ZR Hybrid burns a frugal average of 4.2L/100km. During our harsher real-world testing, we averaged an impressive 4.8L/100km. This included many steep hills and a heavy foot. You can feel the electric motor solely attempt to get you going from a standstill, as this is often where we burn the most fuel. But it’s generally too sluggish and the petrol engine soon kicks in. Transition of power from the two sources is smooth and seamless. 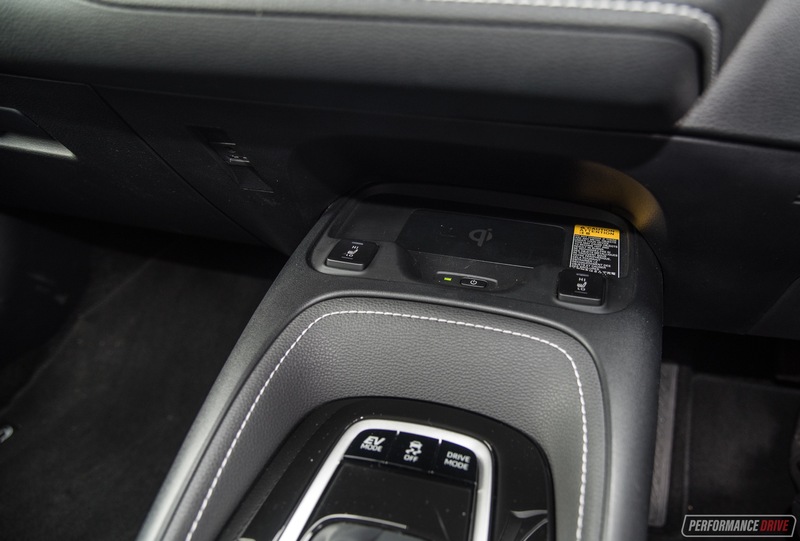 There are also selectable driving modes that allow you to fully utilise either the electric or petrol sides. Toyota has put a lot of effort into providing an impeccable ride in the new Corolla. 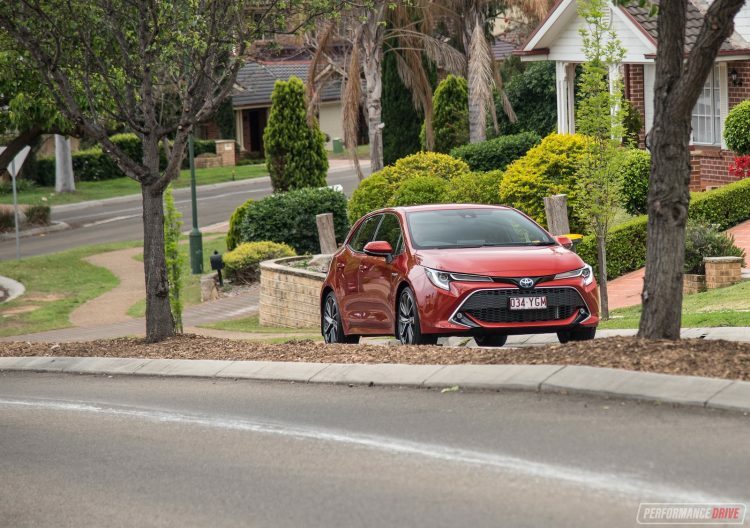 Especially necessary here in Australia, where our roads can be quite rough, the Corolla soaks up bumps smoothly and quietly. A large pothole will rarely disturb your track or direction. 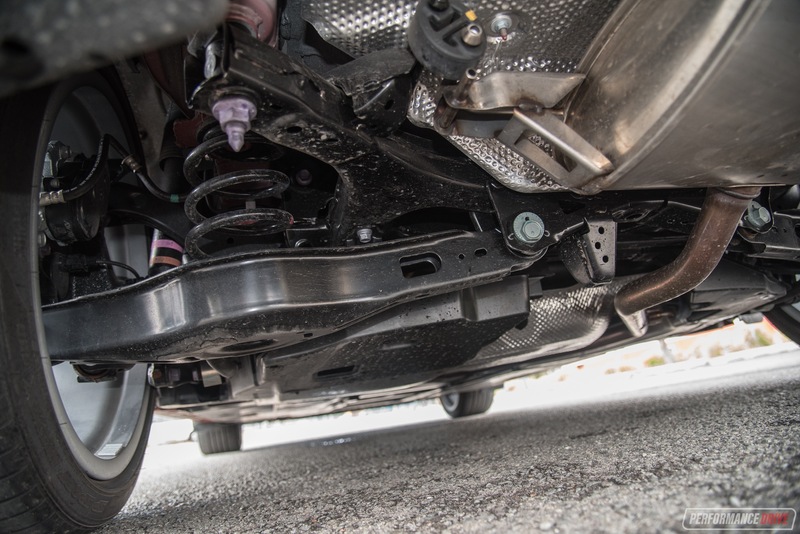 The new TNGA platform used by the likes of the Toyota C-HR means the entire body dynamics have dramatically improved – thanks in part to a lower height, ground clearance, and centre of gravity. 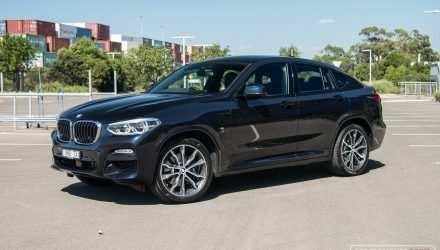 With MacPherson strut front and a multi-link independent rear suspension setup, cornering performance and stability is noticeably enhanced over the previous model. 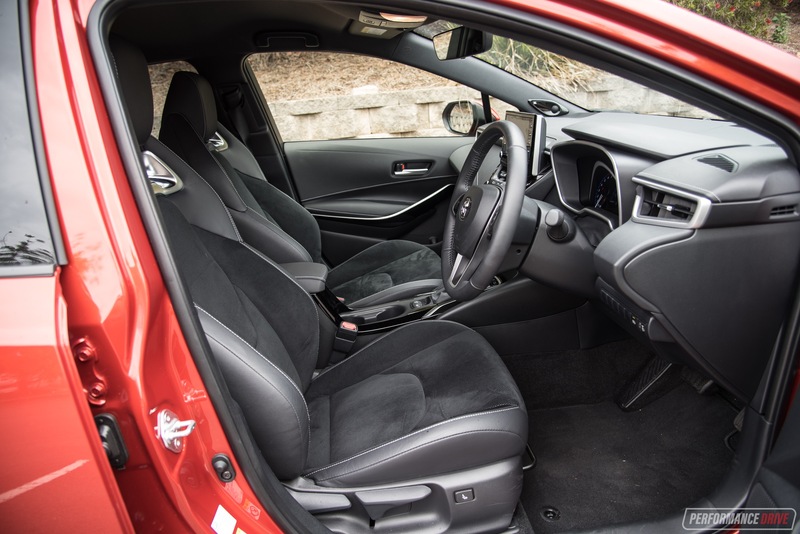 And actually, we’d say the new Corolla is one of the nicest steers you’ll find in the mainstream class. Being the ‘sporty’ offering, the ZR has more direct steering than the other variants. It has a slightly different steering ratio (13.6:1 vs 13.5:1), and fewer turns lock-to-lock (2.65 vs 2.76). The trade-off is a larger turning circle, at 11.4m compared with 11.0m in all other variants. The ZR definitely feels nimble, planted and confident to drive, and also grips better than the other variants thanks to wider 225/40 Dunlop tyres. 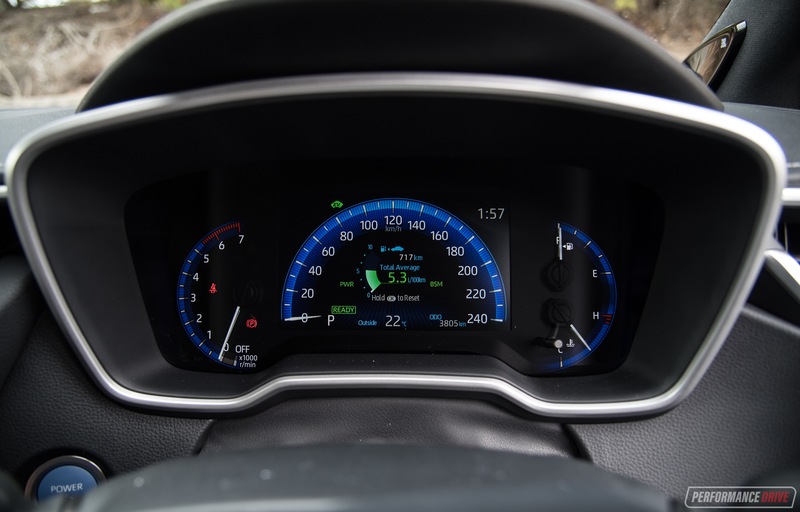 The CVT auto transmission has been improved over the previous model – it is now a 10-speed sequential unit with a ‘launch gear’. This acts like a conventional first gear to provide a more responsive take off. Sadly, manual transmissions continue to become scarcer, but we’d love to see a ZR with such an option to help coincide with the component handling and sporty design. 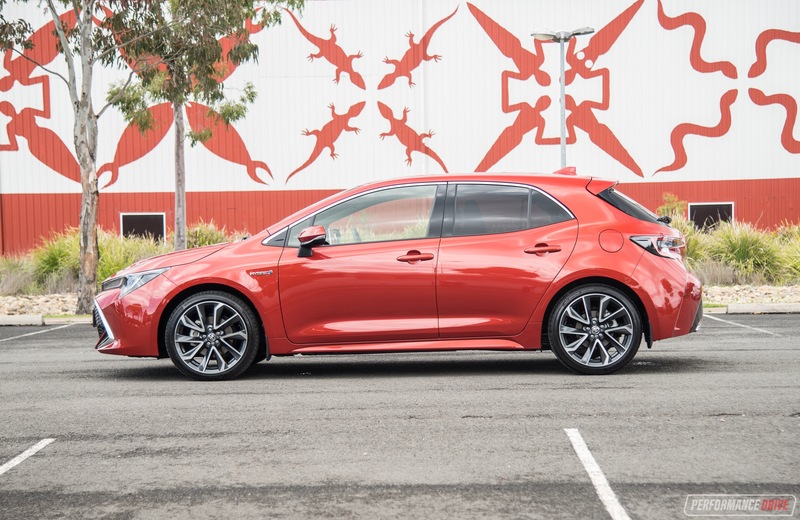 It is evident that Toyota has put a lot of resources into modifying the personality of the humble Corolla. Even though the twelfth generation is slightly more expensive, the driver is the real beneficiary here. 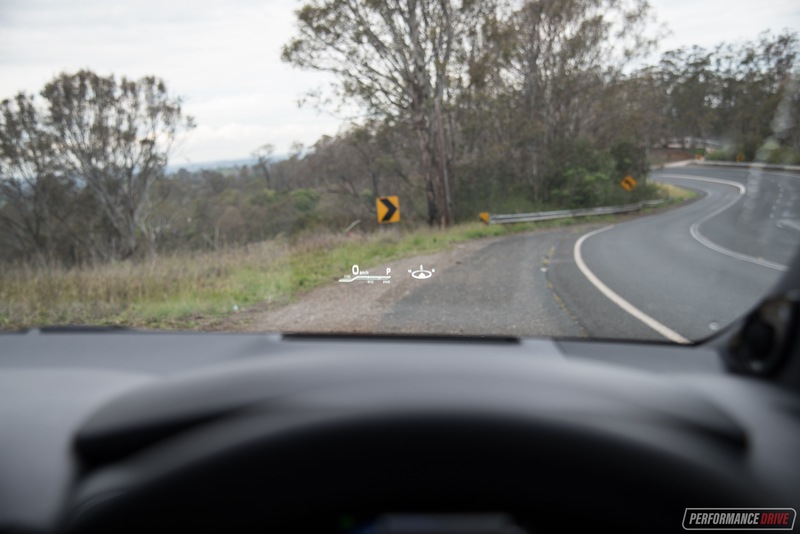 With a heap of life-saving technologies included as standard, Toyota has taken a giant leap towards helping make our roads safer. 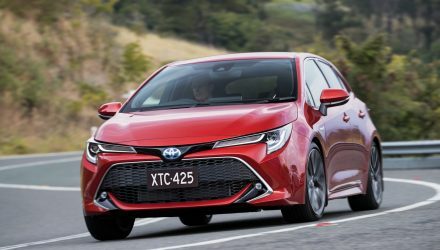 The extensive standard features also help justify the slight price hike for some variants, and, we guess, to some degree, the decades-long reputation also holds plenty of value – perhaps the Corolla has a right to be priced slightly higher than some of the newcomer rivals? If that isn’t enough to win you over, the new design from the ground up is ultra-modern and easily sends most of the competition into a spin. We also love the handling, the build quality, and frugal fuel use in the hybrid option. 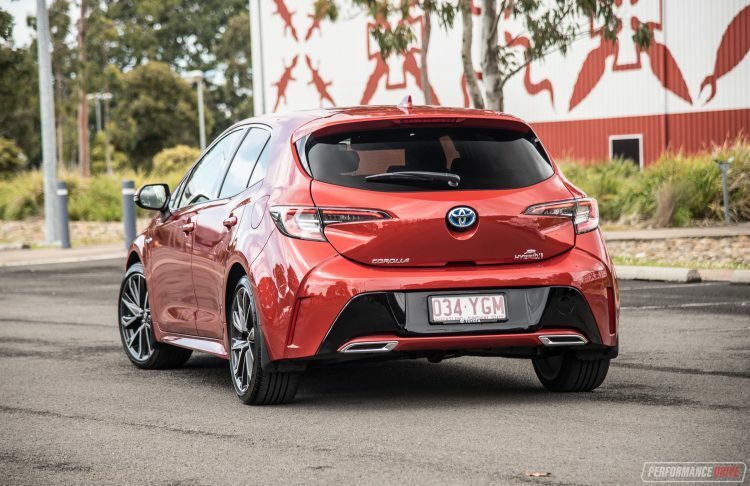 If only there was a potent engine option available to match the jaw-dropping looks, the new Corolla hatch would be the perfect hatch for a greater reach of prospective buyers. It’s worth noting that Toyota is slipping behind on warranty length compared with the competition. 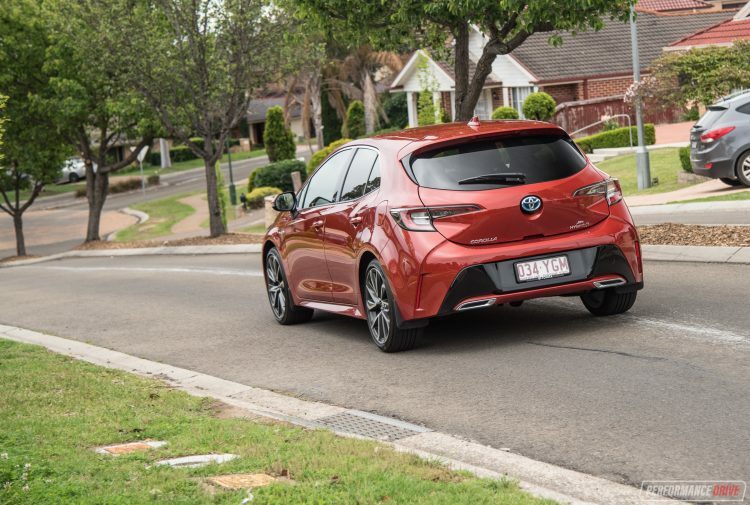 Many manufacturers now offer five years or more and unlimited kilometre warranties, but Toyota still sticks to a three-year/100,000km plan. On the plus side, servicing intervals have now increased from 10,000km (or six months) to 15,000km (or 12 months).